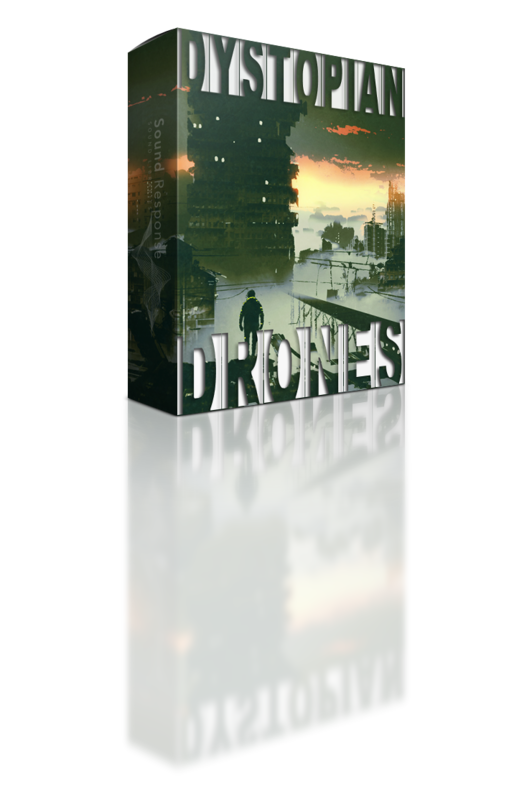 Dystopian Drones sound library features 233 high quality drone sound effects that instantly evoke unsettling feeling and post-apocalyptic images of a machine-dominated world, destroyed dystopian cities, deserted landscapes and sci-fi machine rooms, reactors and engines! Perfect for creating disturbing industrial ambiences and dark otherworldly soundscapes, these sound effects will work great as a background for any dark futuristic sci-fi scene full of tension and suspense. You can choose between different types of drones ranging from intense pulsating ones, dynamic and evolving ones to the constant drones. Whether you’re working on a post-apocalyptic video game, movie, tv show or if you need dark ambient textures for a music production, this sound library has you covered!